Here it is, we are going to share with all of you our “silver-bullet” for attracting goldfinches to your Mr. Canary® finch feeder! Drumroll please… … … … … … The secret is the “Dinnersong” goldfinch MP3 recording. 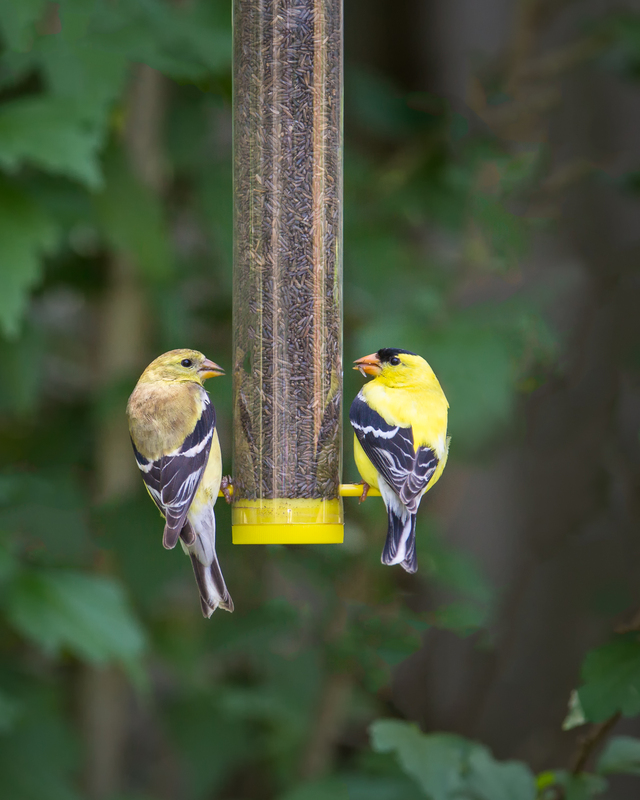 Available for purchase online, this song when played on an MP3 player, or your smartphone, is stellar at calling in goldfinches to your feeder. Simply place the device on “Repeat” and let the recording play over and over again near the feeder. Be sure to play the recording at a normal bird-level volume. Do this, and more often than not, you’ll successfully attract a new batch of finches who will come to see what all the chirping is about! Let us know how this works for you! Social Enterprise- We Were Doing It Before It Was Even a Thing! “In My Nature” Vlog Debut! Mr. Canary Company co-founder Jan Long shares her debut video of her “In My Nature” vlog-series in which she answers a long-standing controversy surrounding her company! Do the Math! Repurposing Saves!